Victorian Americans loved live entertainment. 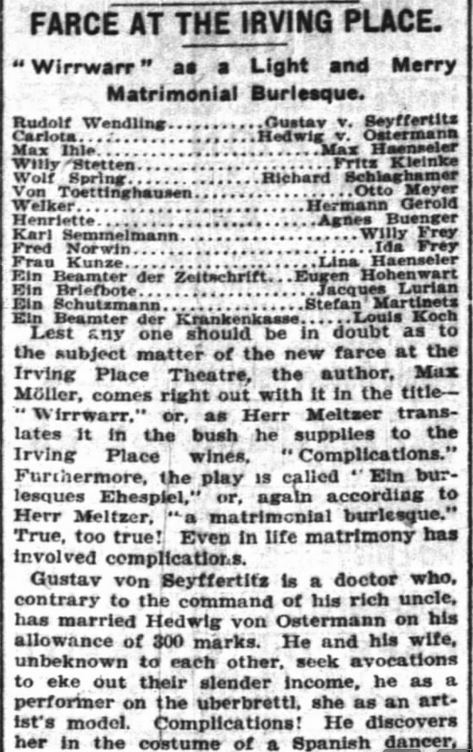 In this era prior to motion pictures (or television)–theater performances, opera, musicals, orchestra performances–were all highly sought after. And not just in the settled cities of the east. 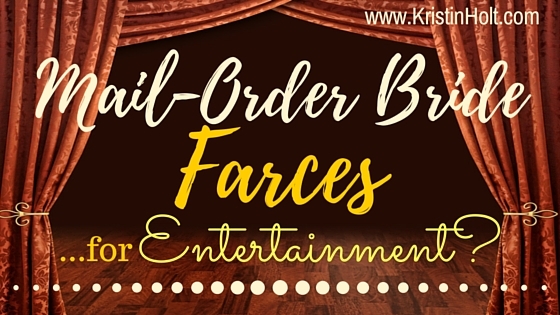 Live theater was a significant source of entertainment in the Old West. The historic city of Tombstone, Arizona, sported at least six different theaters (during its short-lived heyday) visited by traveling troupes, entertainers, and musicians. 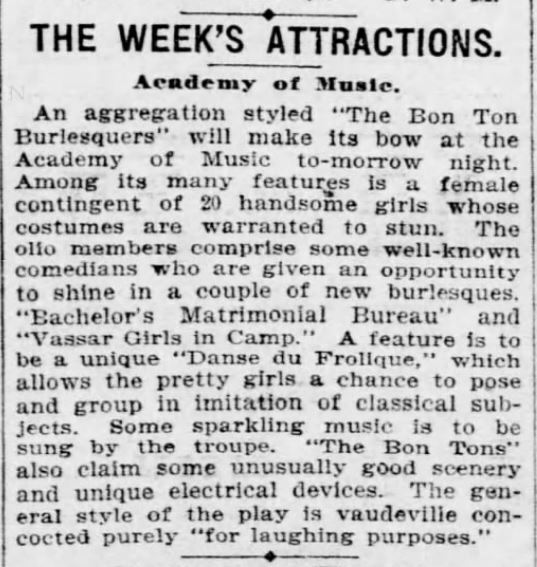 Newspaper articles regale costuming, quality of performances, and announce coming attractions. Advertisements alert theater-goers to upcoming opportunities. 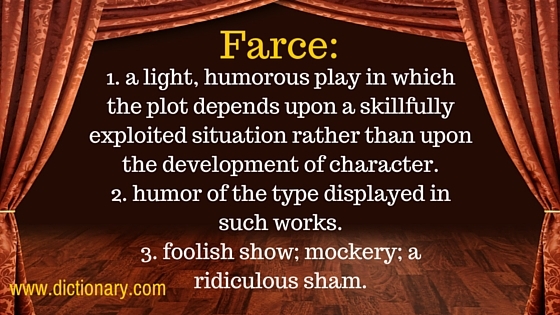 But did you know one specific type of entertainment were farces? 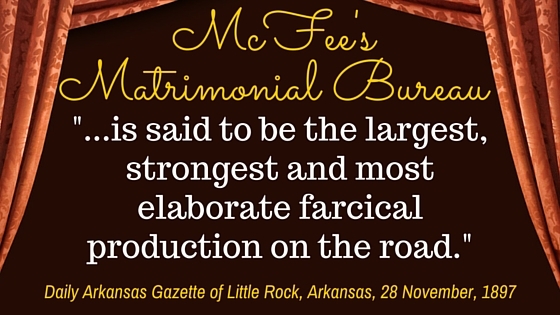 And their sole purpose was to poke fun at the idea of mail-order brides? The Sedalia Democrat of Sedalia, Missouri. 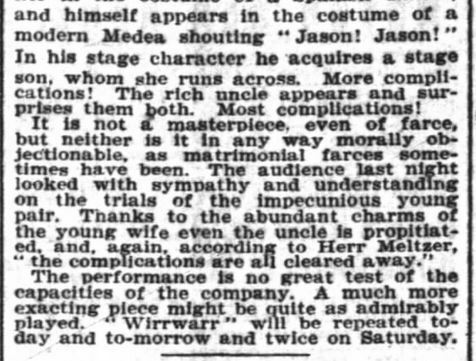 Sunday, 22 November, 1896, pg 2. The Sedalia Democrat. Sedalia, Missouri on 22 November, 1896, pg 2. 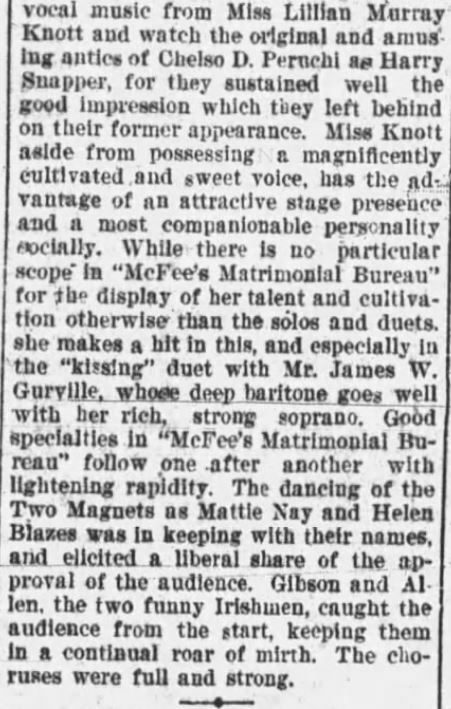 As referenced in Sedalia Missouri, above, McFee’s ‘Matrimonial Bureau’ was a fiercely popular show, performed widely in the United States throughout the 1890’s. The Press-Visitor of Raleigh, North Carolina, on 3 November, 1897. The Atlanta Constitution, of Atlanta, Georgia, on 25 December, 1896, pg 5. McFee’s at Capital Theater. Daily Arkansas Gazette of Little Rock, Arkansas. 28 November, 1897, page 3. 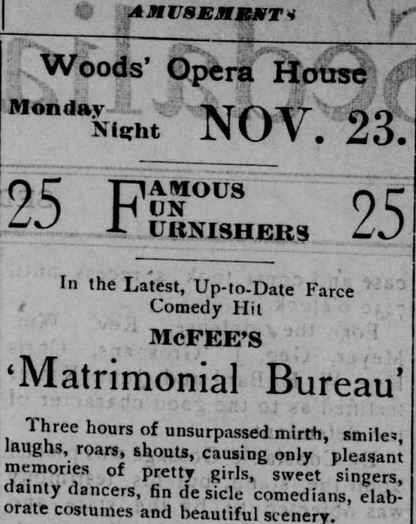 Bachelor’s Matrimonial Bureau, as reported in Pittsburgh Daily Post. Pittsburgh, Pennsylvania, on 3 October, 1897, pg 11. Sultan Opera Overview image, a farce about the sultan’s matrimony bureau to marry off his unwanted ex-wives. 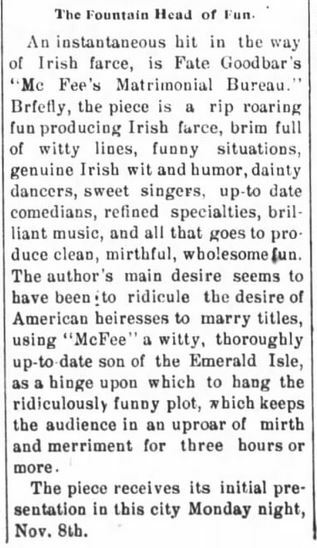 Chicago Daily Tribune, of Chicago, Illinois, on 18 January, 1902, p 43. A quote from within the Sultan Opera Overview. 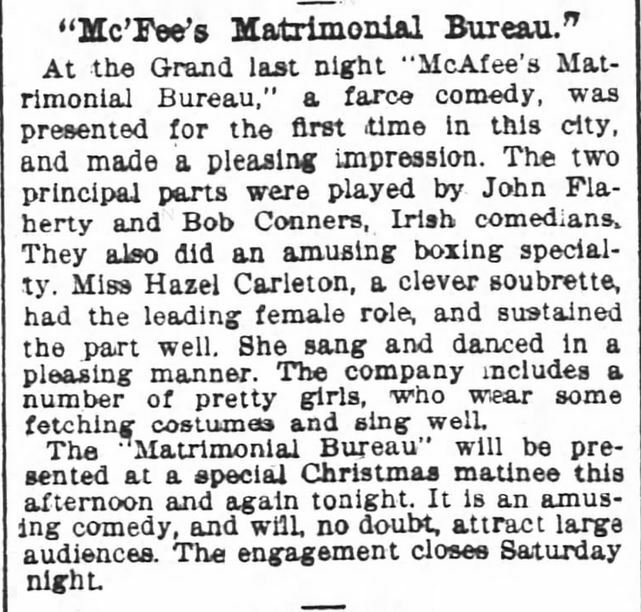 Chicago Daily Tribune of Chicago, Illinois, on 18 January, 1902, p 43. New York Times of New York, New York, on 26 October, 1904, p 9. 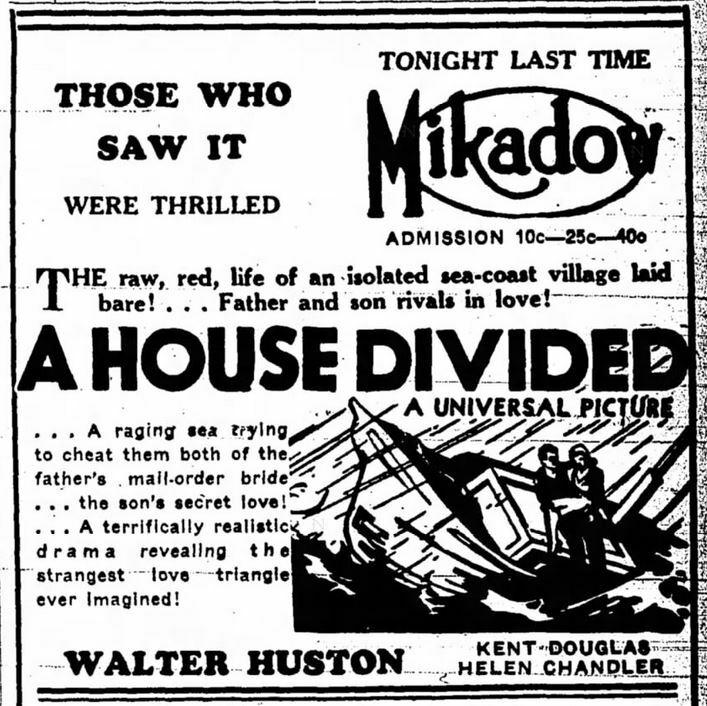 Manitowoc Herald-Times of Manitowoc, Wisconsin, on 13 January, 1932. 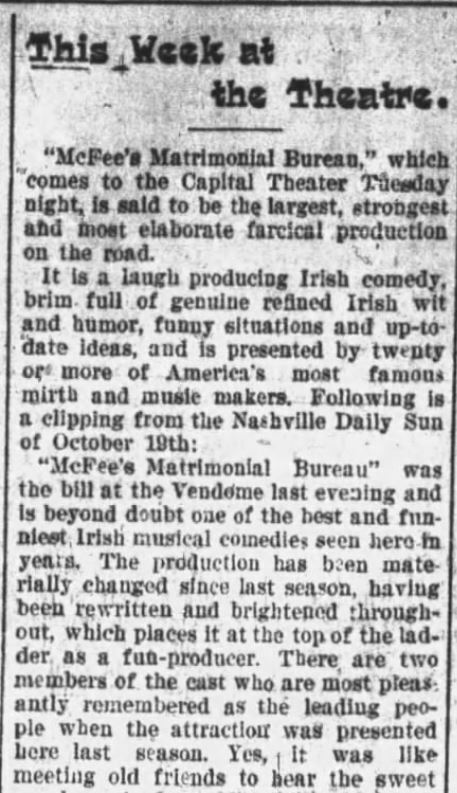 It wasn’t long and the long-loved trope of mail-order bride farces made its way off professional theater stages and onto high school performance schedules. 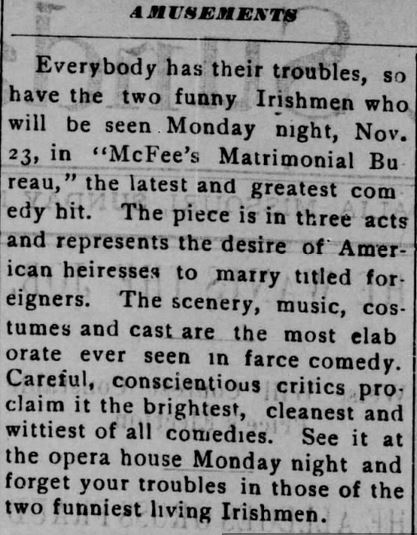 Mail Order Bride High School Play, reported in The Perry County Democrat of Bloomfield, Pennsylvania, on 13 February, 1935. People today are still drawn by the inherent humor to be found in the situations surrounding mail-order bride marriages. 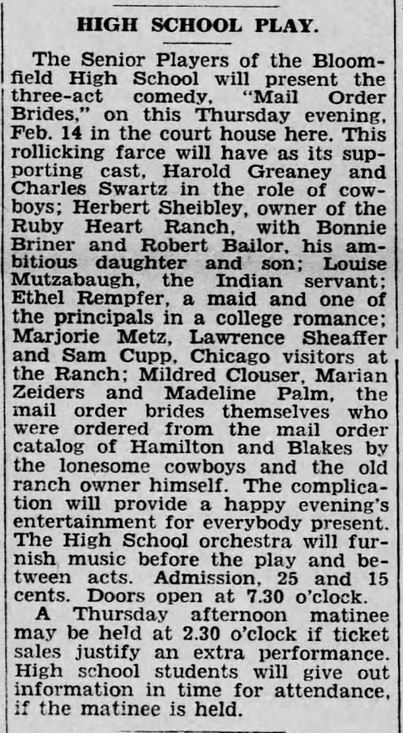 Though live theater has become less and less popular, shows like Seven Brides for Seven Brothers (Broadway musical, 1954) illustrate the familiar theme, and still play upon occasion (and are available on video).